That we live in times when a government can withhold information about the impact of its policies on sick and disabled people, the poorest and the vulnerable is extraordinary, and certainly reflects the fact that we are no longer a democracy. We knew in 2012 that an average of 73 sick and disabled people were dying after they had their lifeline benefits withdrawn. But now the government refuses to provide us with information about deaths since then. It’s my own belief that this refusal is because the truth will be horrifying and that even those that supported benefit cuts originally will raise their objections when they learn the truth. 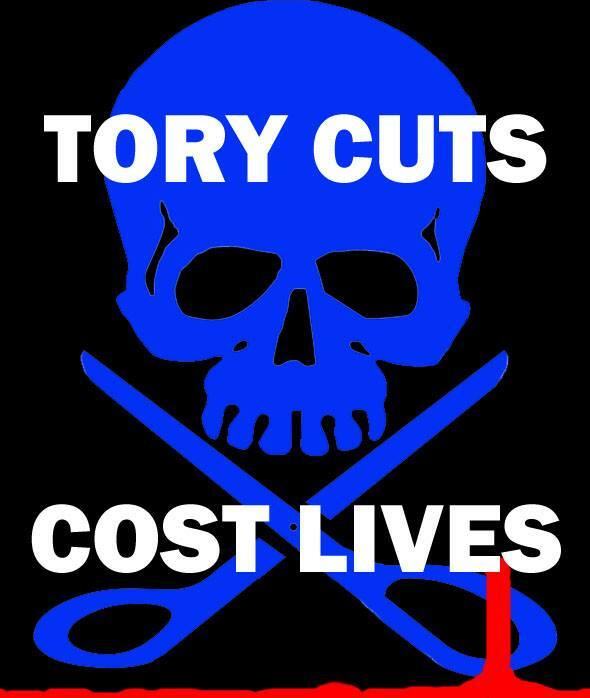 We cannot claim to be a civilised society when our government policy is killing some of our most vulnerable citizens. Well done Mike Sivier, for standing up against an increasingly authoritarian government, and good luck from your fellow campaigners. From Vox Political: Freedom of Information tribunal on benefit deaths – April 23. “The only way the public can judge whether this has worked, or whether more must be done to prevent unnecessary deaths, is by examining the mortality statistics, but these have been withheld”. Yes, just like the toxic clause 99 – mandatory review – silences those wishing to appeal, also hiding evidence from the public eye. The Tories are showing form here. In a so-called democracy, ALL campaigning is both essential and part of an inbuilt safeguard against authoritarianism. The ESA ‘Revolving Door’ Process, and its Correlation with a Significant Increase in Deaths amongst the Disabled. Interesting that they should list this at exactly the same time as the Tribunal concerning the Data Protection Act issues, Right of Supersession (Social Security Act 1998) and matters concerning Declarations 4,5 & 6 (page 18 ESA50 questionnaire), which are listed as being in alleged violation of Article 7(1), Article 8 and Article 12 of the European Convention on Human Rights. April 23rd, 10am, Friar Street, Reading. It’s listed for a ‘1 hour’ hearing (normally 30 minutes) before a Senior Judge (No doctor on the panel) and a Representative of the Secretary of State. During the previous 30 minute hearing the Judge discharged her duty by declaring that she “was not suitably qualified to hear this case”. If this succeeds, it will completely legally undermine the changes introduced by the coalition via the 2010 Transition Regulations.